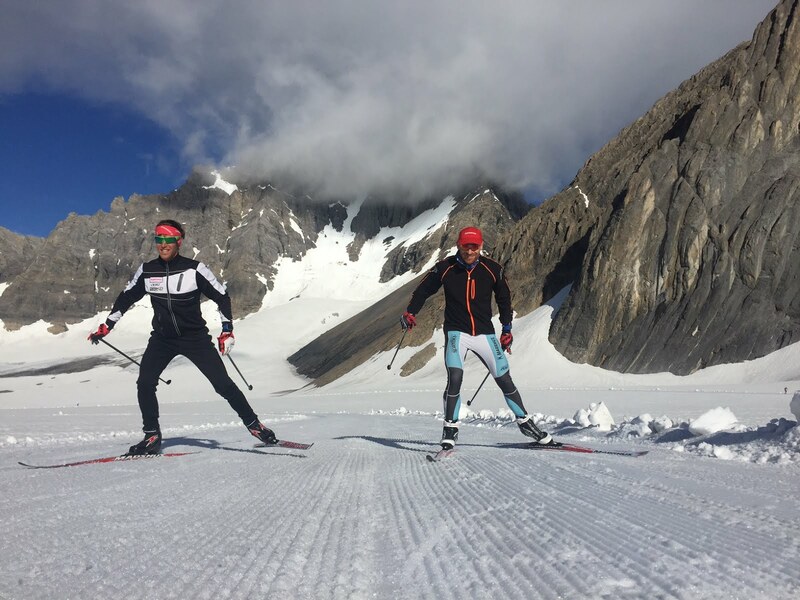 Join coach and World Cup athlete Matt Liebsch for a week of hiking and summer skiing on the Haig Glacier in the Canadian Rockies. 2019 Dates are: June 18 - June 23. Cost is $1250. If you have any questions please email Matt (his email is listed in PDF below). This has been a great camp the last 8 summers. A summary and pictures can be found here… http://www.skinnyski.com/training/display.asp?Id=23392 and video recap 2016 https://vimeo.com/173656176 and 2014 video https://www.youtube.com/watch?v=AiEL6ciO09s. We’ve had athletes ages 16-70. The daily routine includes: early breakfast, hike 45 minutes up to the glacier, ski on fresh piston-bulley tracks until noon. Hike back down for lunch, stretch, take a nap, read, short (optional) hike or strength, eat dinner, review ski technique video from the morning, go to bed, get up, repeat. The camp fees include grooming, helicopter transport of your gear up the mountain, 3 hearty meals prepared by camp staff, bunk beds with separate sleep areas for men and women. The ski program emphasizes easy distance altitude skiing. Technique coaching will take place most mornings and will include video analysis. Most of the mornings will be for easy distance skate and classic skiing. This camp is physically challenging due to the alpine environment, changing weather conditions, long distances, and moderately high altitude. This is a back-country camp manned with seasonal staff, radiophone and satellite communications with ranger station and helicopter support teams down below (no cell phone reception on the glacier). There are hot showers, TV w/movies, full kitchen, bunk house, and strength area. To help you plan out your Haig Glacier Trip here is our recommended packing list.